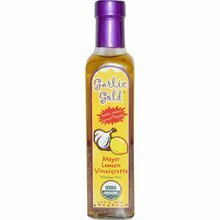 Our Garlic Gold® Classic Balsamic Vinaigrette is a fabulous blend of pure, organic extra virgin olive oil mixed with cask-aged organic balsamic vinegar of Modena. 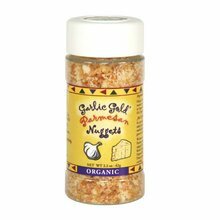 We added organic Italian seasonings, sea salt and organic black pepper. 8.44 fluid ounces - 250 ml Save 20% if you buy a case of six. 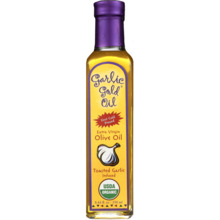 Ingredients: Organic Garlic Gold® Oil (garlic-infused extra virgin olive oil), imported organic balsamic vinegar, sea salt, organic Italian seasoning blend, organic black pepper. Refrigeration is up to you, but not required.